There is a one-time fee of $13.97 to participate, and you only pay when you register for the Speed Networking Luncheon for that month (no annual fees!). This ensures we only have serious participants and pays for food, prizes and any advertising to get more members for the group. 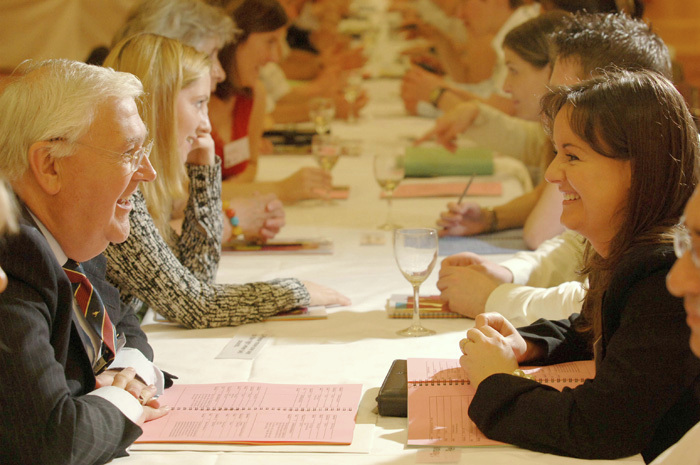 Speed networking is a take off of speed dating where participants spend a short period (3 minutes) with each participant introducing yourself and making connections. During this time you should share your business card, brochures, and other promotional materials. When you get back to the office, you'll follow up with those people you'd like to get to know better and build a deeper relationship with. *BONUS* You also get promoted on our website's blog, with a list of attendees, and a link to your website! Try out this casual event, and see the difference!